FunAir joining forces with Marine Riley Australia at the Gold Coast International Boat Show this weekend to launch the Lagoon Pool – Aussie Edition. 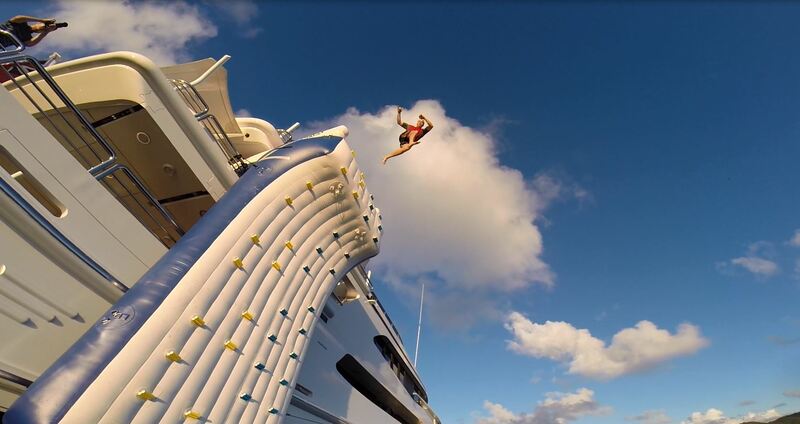 Innovative team players FunAir have announced a partnership with Sydney based superyacht supplier, Marine Riley. They will be exhibiting at the Gold Coast International Boat Show from Friday 17th March until Sunday 19th March 2017 with a large compliment of FunAir products on display. 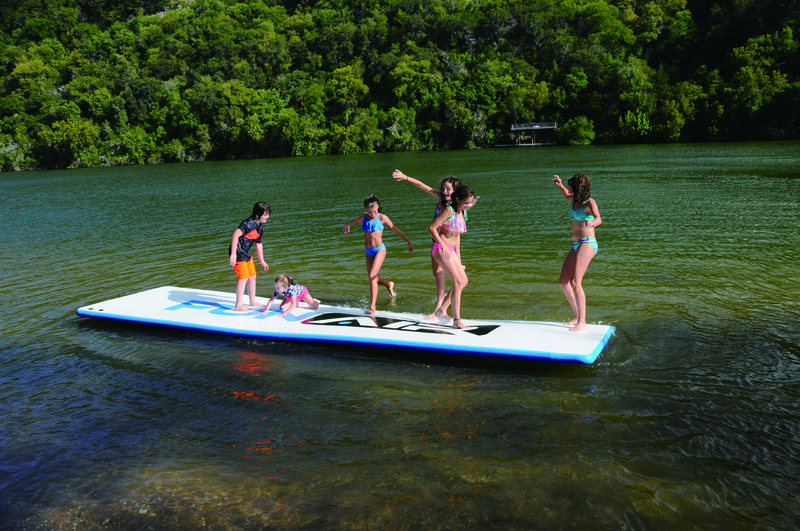 Watch out for the popular Adjustable Yacht Slide, Water Mat and the launch of the FunAir Lagoon Pool – Aussie Edition. This 3 x 4 meter pool has been designed specifically to inflate the fun for the Australian yachting community during trips on the water with friends and family. It’s made from a new material so it folds and packs 30% tighter and lighter than industry standard pools. The pool uses a high-grade mat for the netting to keep out even the smallest critters, and it’s so fine they’ve added a lockable zipper so water can be quickly released from the pool when it is being packed away. Plus you can use the adjustable weight system in each corner to accommodate changes in ocean conditions. Marine Riley supply high-quality motor yachts, sailing yachts and top notch marine and water sport related merchandise from around the world, with a key focus on tenders, trips and toys. They stock FunAir inflatable products for yachts, including Quick Ship items that can be delivered from website to water in just 72 hours. Perfect for those last minute trips or charter vacations. 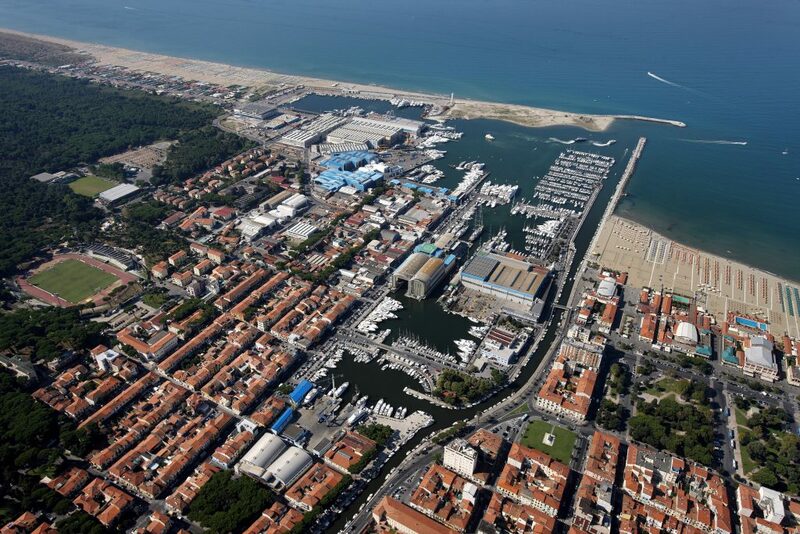 To find out more about FunAir, please email yachting@funair.com or call +1 512 751 4276. To contact Mark Riley from Marine Riley, please email mark@marineriley.com.au or call +61 418 250 727. PureSpace Yachts disinfects, sanitises and purifies air and surfaces by destroying bacteria. It is safe to use on-board luxury yachts with their delicate fabrics and interiors because the system nebulises a completely dry mist into the atmosphere ensuring uniform coverage and efficacy. Inter-Nett, the international yacht fabric cleaning company have launched this new service, to complement their already comprehensive cleaning process. Yachts can be fully sanitised between charters and in this era of extensive international travel, PureSpace has the ability to combat common viral problems and eradicate the bacteria that can cause issues with hygiene and associated odours. For more information please visit, www.internettmonaco.com or email John Balodis on john@internettmonaco.com, or call +33 643 91 62 96. This Sunday, 12th March, two veteran Cogs4Cancer riders will be tackling the iconic Cape Town Cycle Tour to help raise awareness for the leading superyacht charity. This year marks the 40th birthday of the 109km South African event, so it’s a special one for the riders to be a part of, proudly sporting their Cogs 4 Cancer cycling tops. Lee Mutch has ridden every Cogs4Cancer event since the start, and is one of the founding members of Cogs4Cancer. This year he is giving up his place to allow new riders into the peloton, and he is taking on the Cape Town Cycle Tour to spread the word of C4C far and wide! Accompanying him on this epic ride is Steve Bridgeford, who completed the Ancona to Antibes C4C ride in 2015. Back in South Africa, 35,000 riders taking part will begin their journey in view of Table Top Mountain, setting off on a magnificent loop of the peninsular, and will finishing the ride with the iconic landmark looking over them. The event was born in 1978 when just 525 cyclists participated, now it is the most iconic event in South Africa, and the world’s largest timed cycling event! 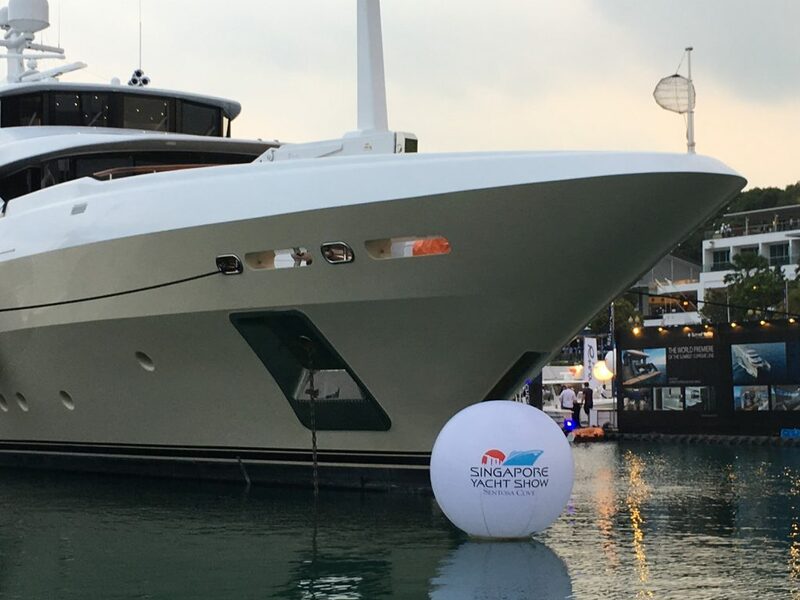 Superyacht charity Cogs4Cancer has been going since 2013 and has raised over 700,00 Euros for both Cancer Research UK and local French cancer charities. 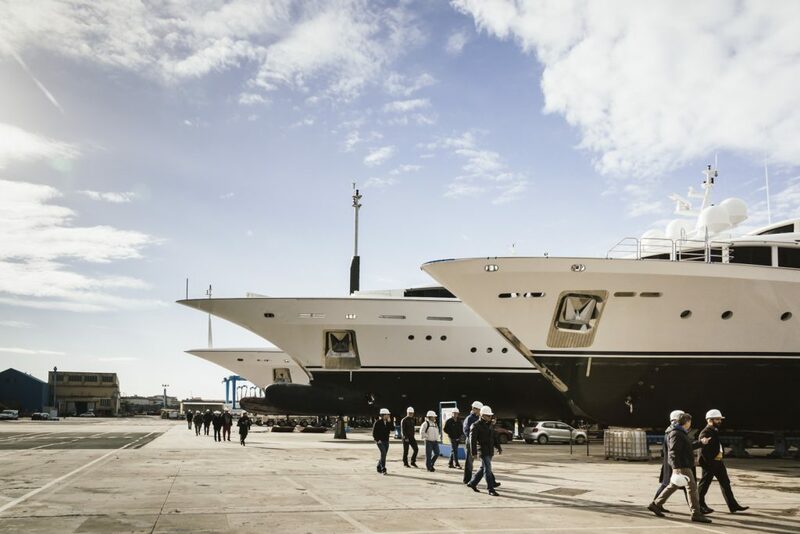 Transaction brings together two of the most prestigious brands in global yacht shows: Fort Lauderdale International Boat Show and Monaco Yacht Show. 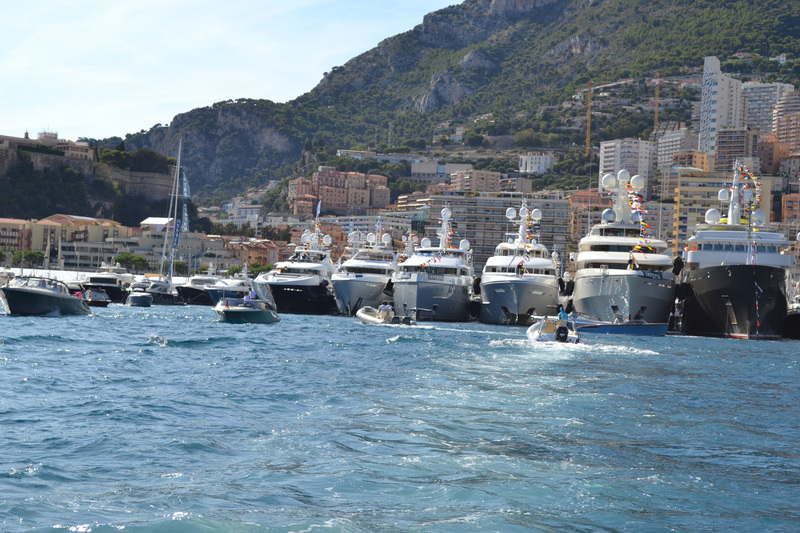 The organisation behind Monaco Yacht Show, Informa’s Global Exhibitions division, today announced the purchase of Yachting Promotions Inc. (“YPI”), the operator of some of the largest yachting and boat shows in the US, for $133 million. The acquisition brings three of the world’s largest in-water boat shows – the Fort Lauderdale International Boat Show, Yachts Miami Beach and the Palm Beach International Boat Show – into the Informa Exhibitions portfolio along with the St. Petersburg Power and Sailboat Show and Suncoast Boat Show in Sarasota. 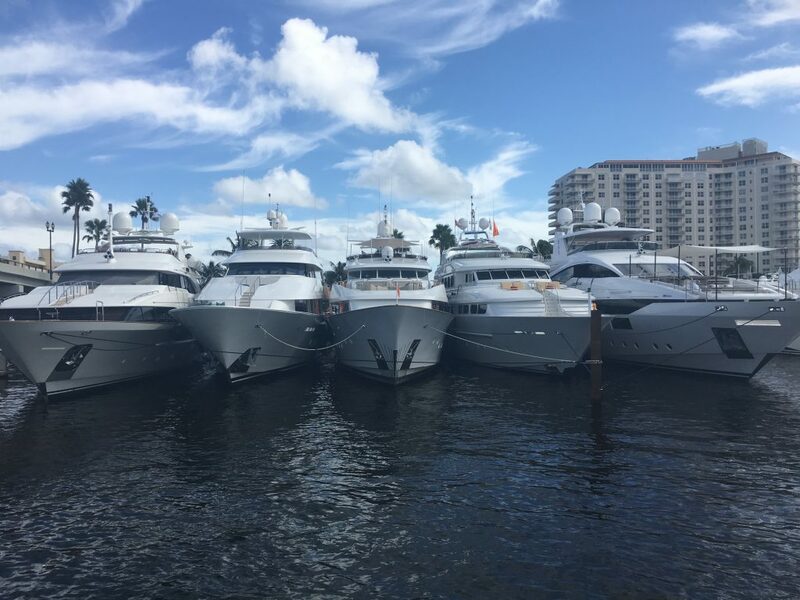 The Fort Lauderdale International Boat Show, which draws 100,000 attendees, 1,300 exhibitors and more than 1,200 boats each November, is the largest of its kind in the world and complements Informa Exhibition’s Monaco Yacht Show, the world’s leading event dedicated to the superyachting industry. Skip Zimbalist will advise Informa Exhibitions in the transition, and the rest of the YPI team will continue with the company as it moves forward. McCurdy noted that Informa Exhibitions will continue YPI’s active role in the North American boating and maritime industry, including IFBSO, the International Federation of Boat Show Organisers; NACS, the National Association of Consumer Shows; Marine Industries Association of South Florida (Sponsor); Marine Industries Association of Palm Beach County (Sponsor); International Yacht Brokers Association (formerly Florida Yacht Brokers Association); NMMA, the National Marine Manufacturers Association; and Sail America. With over 200 trade and consumer exhibitions annually, Informa Exhibitions is a global market leader in such end markets as Beauty, Construction & Real Estate, Design, Life Sciences, Maritime, Health & Nutrition, Natural Products, Agriculture and Pop Culture. 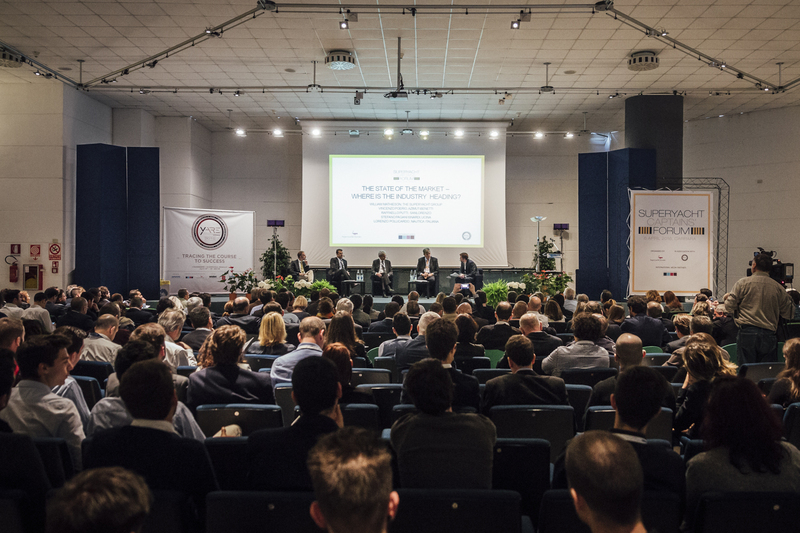 Through face to face and digital channels, our transaction-oriented exhibitions and trade shows enable communities to engage, experience and do business. In doing so, we bring together people who want to buy and sell, network, do business and gain inspiration. Our industry insight, coupled with our innovative and entrepreneurial approach, provides them with the opportunity to create business advantage and access markets.